Overcoming Price Objections | Price is Not a Real Objection | It's caused by Sellers! Overcoming price objections is one of the first things you’d be taught in sales traing. Now we know…we live in enlightened times. Price objections are caused by seller not buyers. So, accept that reality and overcoming price objections becomes a thing of the past. Just don’t create any more price objections. Yes, I know…it’s just way toooooo simple. And this is basic sales…but very often forgotten. Now, some sales people will read that and think what?!? That’s ok, they’re not real sales people. When the only way out is a buyer discount! If you get to this position, look behind you and to the sides…you’re in a box. Your buyer has put you in a box where the only negotiable is price. After all, he loves what you’re selling, now all you have to discuss is your price. You’ve just made it super easy for your buyer to chip your price. You want your buyer to know that this, whatever you offer, is not a cheap option. Give him the facts and figures. Past results from other businesses/buyers who have brought from you. Be ruthless in getting him to spec out the cost of his current solution AND the cost of doing nothing. Help him understand the value inherent in ditching the status quo and embracing the value laden future with your product/service. Give him as much as you can deliver…no lies. A realistic moon on a stick. Blow his mind with value. He knows, before you say a word, that your solution won’t be cheap. He’ll know you don’t discount…why should you? And for something this fantastic, well, he might still ask for a discount, but his heart won’t be in it. 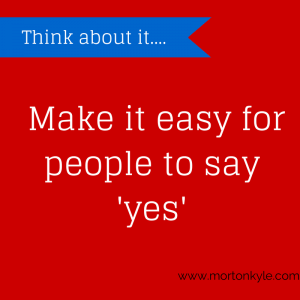 So, what will you tell your team about this solution to ensure their buy in to your decision? When you get budget released for this, what will be the foundation of your business case to the FD? How the buyer deals with these questions tells you whether you’ve got a converted buyer or he’s still shopping around. So, overcoming price objections is really easy…if you don’t create the price objections in the first place! Who knew overcoming price objections was that easy? 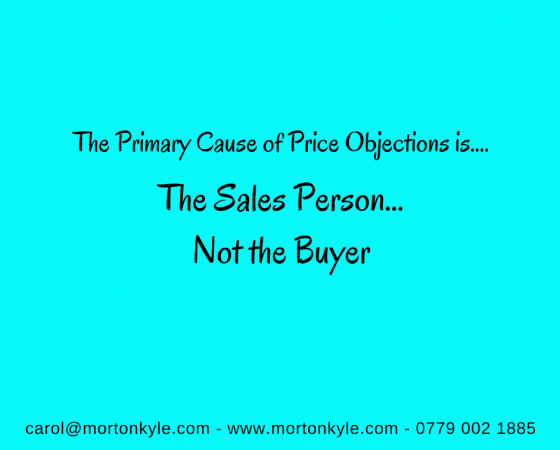 So, this is just a very quick whistle stop tour of how to deal with price objections, simply because it came up in some call coaching I was doing this morning, but if you want a more comprehensive discussion of how to NOT back yourself into a corner over price, give me a shout. Likewise…start believing that you and your solution are worth every single dime you ask for and more, many times more, then angle your sales presentation to prove it to your buyers! And if you want to check out what else you can do to handle more general sales objections, then hit the link – How to Stop Losing Sales You Should Be Winning! Overcoming price objections is a mugs game, don’t be a mug. 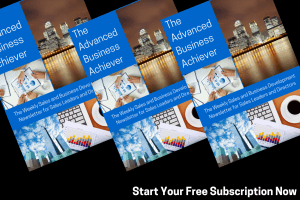 This entry was posted in Blog, Sales Training, Selling and tagged Closing the Sales, New Business Training, Overcoming Objections, Overcoming Price Objections, Price Negotiation, Selling the Price, Value Based Selling. Bookmark the permalink.